Another Nokia device hit the market US market: the Nokia E63, a full QWERTY mobile phone. Marketed as a good gift for Valentine’s Day (hence the rushed release), the new phone is available at Nokia Flagship stores in New York City and Chicago for $ 279. 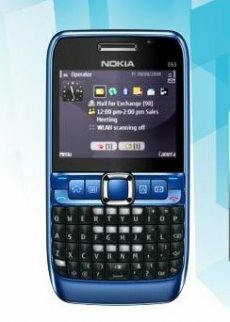 "The Nokia E63 builds on the amazing response we have seen with the best-selling Nokia E71. People want a rich experience when using messaging, social networks and the Internet – and with the Nokia E63 you can enjoy the web, update your status, and work as much – or as little – as you like with multiple email accounts, including easy access to Mail for Exchange," said Alessandro Lamanna, VP Retail, Nokia North Americas. The Nokia E63 comes packed with full web browsing, 3G connectivity, WiFi, a 2 megapixel camera, and a standard 3.5 mm audio jack for music lovers.